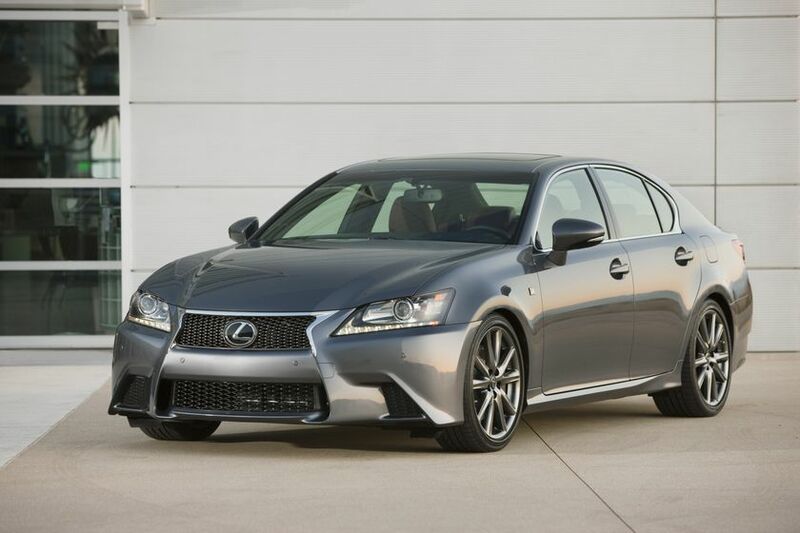 (TORONTO) Oct. 25, 2011 – Lexus will reveal the new 2013 GS 350 mid-size luxury sedan with F SPORT package at the 2011 Specialty Equipment Market Association (SEMA) Show in Las Vegas. The Lexus press conference to reveal the 2013 GS 350 with F SPORT package will take place on Tuesday, Nov. 1 at 1:30 p.m. PDT at the outdoor Lexus exhibit tent, located between the Central and South Halls of the Las Vegas Convention Center. Following the press conference, media will have an opportunity to experience track rides in the new GS 350 with F SPORT package. The GS 350 with F SPORT package will be on display at the Lexus tent from Nov. 1 – 4. JT Grey Racing Lexus LX 570 Team driver, Joe Bacal and race car driver, Scott Pruett will be on hand signing autographs on Tuesday, Nov. 1 from 10:00-11:00 a.m. and 12:00-1:00 p.m., respectively, at the Lexus tent. Joe Bacal will also be available to sign autographs throughout the day on Nov. 2. Building on the excitement of the fourth-generation GS 350 which was revealed at Pebble Beach in August, the GS 350 with F SPORT package was designed to engage driving enthusiasts with factory engineering and the ability to take performance to an entirely new level. Unique to the F SPORT package will be aggressive 19-inch wheels, F SPORT-tuned Adaptive Variable Suspension (AVS), thicker anti-roll bars, bushing changes, and new larger front brakes with high friction pads. In addition, rear-wheel drive (RWD) models will be equipped with 19-inch staggered width wheels and Variable Gear Ratio Steering (VGRS). Inside, the new package also features a sporty attitude with a new 16-way power driver’s sport seat, unique interior design treatment and available F SPORT exclusive red leather interior. As with the GS 350, the GS 350 with F SPORT package is powered by an advanced 3.5-liter V6, with four cams, and four valves per cylinder and dual Variable Valve Timing with intelligence. At 306 horsepower, it is one of the most powerful base engines in the segment, as well as the only one with both port and direct injection. It propels the car from 0-100 km/h in approximately 5.7 seconds and at the same time, fuel economy has been improved. Acceleration from 50 to 80 km/h can take just 3.0 seconds, and improved engine sound characteristics complement the bolder, more energetic personality of the new GS. The six-speed sequential shift automatic transmission has paddle shifters and sport driving functions as standard equipment. The transmission incorporates many features adopted from the Lexus IS F high-performance sedan — including faster shifts, and downshift throttle blips — to support four driving modes that can be operated by toggling the Lexus Drive Mode selector. In addition to the Normal mode, the driver can customize the driving experience using ECO, Sport S and Sport S+ modes. To provide a more engaging driving experience, including a new aerodynamic body, a completely new platform with a wider stance and stiffer structure, a transmission with quicker shifts, distinctive engine sound and exhaust notes, and better seat support, Lexus engineers looked to the Lexus LFA supercar for inspiration. The new platform has been designed to be more rigid. Engineers conducted extensive platform testing, ultimately increasing the number of spot welds and adding laser welds in very specific locations. The track, wider by almost two inches, works in combination with a revised suspension design to help ensure a more solid stance and superior cornering performance. The new suspension system is designed to help guide the 2013 GS through corners with precision. In the front, upper and lower control arms are made from aluminum and employ larger bushings. The rear subframe has been completely redesigned to accommodate an all-new multi-link rear suspension, using improved suspension geometry that helps retain tire cornering force and enhances rear control. With the stiffer platform and lighter components, the shocks can use lighter-viscosity oil, so they move easily and respond to small inputs more quickly. The use of front and rear aluminum control arms helps reduce unsprung weight and results in significant improvements in agility, roll damping, ride comfort, body control and steering precision. Overall, the suspension is lighter and stronger, allowing it to react to driver input readily, and ride quietly without harshness. The GS 350 with F SPORT package will offer an optional newly developed Lexus Dynamic Handling (LDH) system with Dynamic Rear Steering (DRS) for those seeking more agility. This leading edge platform technology offers Lexus’ first integration of DRS; Electric Power Steering; and Variable Gear Ratio Steering. Monitoring vehicle speed, steering direction and driver inputs, the system calculates the optimum angle for all four wheels. LDH helps to optimize the vehicle slip angle. Using VGRS in the front and DRS in the rear, the system can independently manage both front and rear wheel steering angles to help improve turn-in response, rear grip, vehicle control and overall agility when cornering. The latest generation of Lexus’ unique Vehicle Dynamics Integrated Management system coordinates Lexus Dynamic Handling; the Anti-lock Braking System; Traction Control; Vehicle Stability Control; and Adaptive Variable Suspension. Adaptive Variable Suspension helps front and rear wheel control and provides agile, sharp and confident driving behavior with a more direct response to the driver’s actions. The LDH system monitors vehicle speed and yaw rate, steering angle and speed, and lateral G to calculate the required rear wheel steering input, to a maximum DRS angle of 2.0 degrees. At most speeds below 80 km/h the front and rear wheels turn in opposite directions. In certain conditions at speeds over 80 km/h the front and rear wheels turn in the same direction. Further coordinating DRS with VGRS and AVS, the Lexus Dynamic Handling system will automatically customize the adaptive suspension tuning and active safety systems to suit road conditions, vehicle speed and driving style, giving drivers the confidence to fully utilize the exceptional driving performance of the GS with F SPORT package. The GS 350 RWD with F SPORT package will be exclusively equipped with 19-inch staggered width wheels paired with 235/40/19 front and 265/35/19 rear tires, the widest rear tires ever on a Lexus sedan. The wider width wheels allow for a sportier look, and will also help provide added traction. All-wheel drive (AWD) models will be paired with 235/40/19 all-season tires in the front and rear. As with the GS 350, the GS 350 with F SPORT package will be standard equipped with 10 airbags, including a knee airbag for both front driver and passenger. Rear seat occupants have seat-mounted side airbags, and all four outboard occupants are equipped with side curtain airbags. Also standard are new Whiplash Injury Lessening front seats designed to help limit excessive head movement, and help decrease the severity of whiplash-type injuries in certain types of rear-end collisions. Standard seatbelts with pretensioners with force limiters used for front and outboard rear seats further assist occupant protection. Other available safety systems include a Night Vision System that enhances driver visibility at night; Heads Up Display; a Blind Spot Monitor that helps detect vehicles in rear/side blind spots; and Lane Keep Assist (LKA) with Lane Departure Warning (LDW). GS is the first in its segment to offer LKA with active steering torque to provide a small amount to assist in maintaining course, while the LDW feature alerts the driver if the system detects that the vehicle is beginning to drift out of the lane. The 2013 GS expresses a new generation of Lexus’ design philosophy with its precisely sculpted exterior and will lead the rest of the lineup in an entirely new direction. When designers shaped the GS they visualized the flow of air around it and, like the LFA supercar, maximized aerodynamic efficiency for low coefficient of drag. The GS fuses distinctive style with engineering functionality. The signature spindle grille with its trapezoidal contours fully integrates into the aggressive front bumper allowing for efficient airflow. Air inlets located on the outer edges of the lower grille serve as cooling ducts. This distinctive Lexus design feature combined with the deep-set, high-tech headlamps and L-shaped LED daytime running lamps further express the vehicle’s confident and dynamic character. The headlamps use a projector beam design, adding a strong, chiseled appearance and excellent illumination. Fins incorporated into the side of the tail lamps and the design of the trunk area all help direct air over and past the car. The rear bumper underbody area was designed for reduced wind resistance to help keep the car firmly planted on the ground. From the side, the GS projects the image of a spacious sport sedan with a road-hugging wider stance. The tapered lower rocker panel and the short front overhang give the vehicle a sense of motion. Width-enhancing front and rear wheel arches add an athletic stance-enhancing the vehicle’s dynamic presence. The rear bumper features a distinctive exhaust diffuser and centered aero fins to help control underbody airflow. Combined with the L-shaped LED tail lamps, a Lexus design cue, these rear bumper features lend a high-performance appearance. Overall, the new GS sheet metal represents a significant extension of the Lexus L-finesse philosophy that is the core of all Lexus product design. The GS 350 with F SPORT package will feature two new colors: Crimson Red and Sonic Silver, and also be available in Starfire Pearl, Mercury Grey metallic and Obsidian. Vehicles in Crimson Red will benefit from glass flakes incorporated into the coating that adds a high level of brilliance to the paint. Lexus engineers developed a new advanced coating process for Sonic Silver. The GS 350 will be the first Lexus to adopt this new coating technology. Vehicles with the Liquid Platinum exterior will appear more radiant as an additional metallic texture gives both strong shading and defined, sharp highlights. This metallic effect makes subtle and defined bodylines more noticeable and the surface appears finely polished. To complement the aggressive-looking exterior of the F SPORT package, the interior will feature an exclusive design treatment with smooth striated aluminum trim, unique perforated leather trim, black headliner and aluminum pedals. Distinctive F SPORT badging will be showcased on the steering wheel. Focusing on the driver, the F SPORT package will feature a new 16-way power sport seat for increased lateral support. The driver’s seat will include a Lexus­first with power side bolsters, thigh support, adjustable seatback and four-way lumbar. To complete the uniqueness of the F SPORT package, a striking red leather interior will also be available. Painstaking attention to detail was applied to the GS cabin as well, to create a balance of luxurious and technological amenities and emotional design. The new layout of the long, sculpted dash gives the driver and front passenger a sense of roominess through its clean center stack and new, large high-resolution center control display placed deep near the front windshield. Most of the comfort and convenience controls, such as audio and climate, were relocated to provide a cleaner and more sophisticated dash layout. The Remote Touch allows the user to operate the climate, audio, phone controls, optional navigation system and more. The screen menus are selected with the controller, eliminating the need to reach out. Remote Touch also reduces eye movement and helps users operate functions with reduced effort and distraction. A standard rear back-up camera helps add convenience.